Methods: CD14 deficient mice (CD14-/-) and C57BL/6J congenic controls (WT) were obtained through Jackson Laboratory. 10-12 week old male mice from both strains were subjected to de-stabilization of medial meniscus (DMM), sham surgery or left unoperated. Six and nineteen weeks post-surgery were chosen as early and advanced time points in this model. Groups of 5-9 mice at each timepoint were sacrificed and knee joint histopathology evaluated using the modified OARSI score (Miller RE et al. 2016). As a surrogate for joint pain, changes in spontaneous activity were investigated longitudinally (every 4 weeks, up to 16 weeks) after DMM surgery in the two strains, using the LABORAS® Laboratory animal behavior observation registration and analysis system (Metris B.V., Hoofdorp, The Netherlands). Results: CD14-/- mice showed similar degrees of cartilage erosion (Mean score ±SEM, 4.667±1.38) as WT controls (4.6±0.6, p>0.9999) at 6 weeks post-DMM. However, by 19 weeks post-DMM, cartilage erosion was significantly reduced in the CD14 knockouts (6.0±0.46) in contrast to their WT counterparts (13.44±2.5, p<0.0001). By contrast at 19 weeks post-DMM, both strains displayed similar osteophytosis (WT: 104.4±23.16; CD14-/-: 138.8±22.48, p=0.15). Analysis of spontaneous activity indicated significant decreases in climbing activity by WT mice at 4 and 8 weeks post-DMM (~84% lesser than baseline). The CD14 deficient mice in contrast maintained climbing activity through the course of 16 weeks after DMM surgery. Furthermore, CD14-/- mice initiated significantly greater number of climbs each hour at 8, 12 and 16 weeks post-DMM as compared to baseline (p≤0.004), and their WT counterparts (p≥0.11). Conclusion: Deficiency of CD14 expression significantly diminished progression of cartilage erosion observed in the advanced phase, and protected the mice from early climbing deficits described in this model. No significant protection from osteophytosis was observed. These findings indicate that CD14-mediated mechanisms may be targets to ameliorate symptoms and prevent progression of structural disease. Loss of CD14 appears to affect structural and functional outcomes in this model through different mechanisms over different timelines. Further studies are needed to characterize the cell types involved and the specific mechanisms of action for suitable therapeutic targeting of OA progression. Disclosure: N. Sambamurthy, None; V. Nguyen, None; R. Smalley, None; G. R. Dodge, None; C. R. Scanzello, None. Sambamurthy N, Nguyen V, Smalley R, Dodge GR, Scanzello CR. CD14 Deficiency Delays Progression of Cartilage Degeneration and Protects Against Early Deficits in Functional Outcomes in a Murine Osteoarthritis Model [abstract]. Arthritis Rheumatol. 2016; 68 (suppl 10). 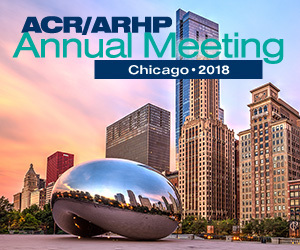 https://acrabstracts.org/abstract/cd14-deficiency-delays-progression-of-cartilage-degeneration-and-protects-against-early-deficits-in-functional-outcomes-in-a-murine-osteoarthritis-model/. Accessed April 21, 2019.